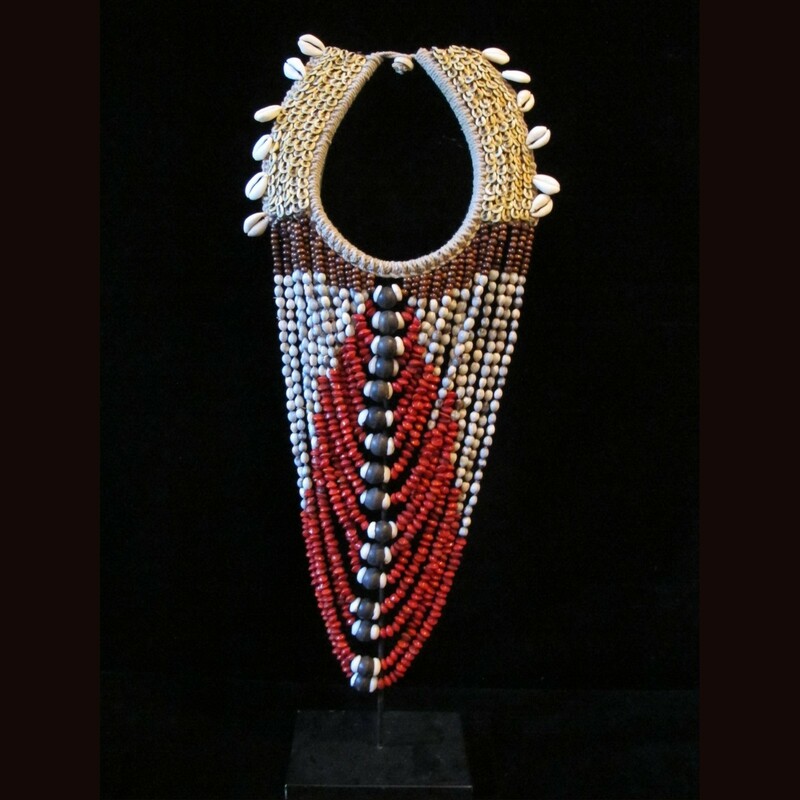 An original papua necklace from shell ,cowry ,wood and seed beads. in papua this necklace is used as bridewealth payment for marrige. They are worn in wedding ceremonies and are kept as an hairloom . item come with custom stand .